Some people assume low carb eating means they should eat meat all day, or they don’t know where the carbs are lurking. This is a recipe for problems. We all need some basic knowledge about how reducing carbohydrates works, which foods have carbohydrates and how to eat a balanced low carb diet. These recipes will help you choose the correct foods for a balanced diet. Don’t give up too quickly; it is difficult to find a low carb diet that works for you at first. But don’t over react if it doesn’t go perfectly at first and give up. For example sometimes people don’t eat enough carbs and they suffer a “carb crash” and then decide low carb is not for them. Often a simple adjustment can usually do the trick. 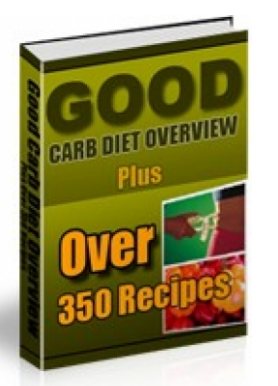 The recipes will help you avoid “carb crash”. 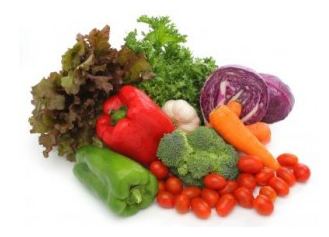 Not enough vegetables; If you start to “not feel good” when you start your diet make sure you are eating enough vegetables and fruit. In other words you should be eating more fruit and vegetables than any other food. Especially fruit low in sugar which has a place in a complete low carb diet. Once again the recipe book will help you. Not enough fat; Often this can be a real problem. Despite considerable effort to get the word out about “healthy fats” you are always hearing negative remarks about fats in the diet. So don’t attempt a low fat version of a low carb diet. Remember you are using up a lot of your own fat and fat loss inevitably slows down, and you can become hungry if you don’t have some fat in your diet. Nothing will sabotage your diet faster than hunger! So don’t let this happen to you! There is an excellent selection of “healthy fats” recipes for you to follow. Not enough fibre; Eating enough fruit and vegetables will go a long way toward insuring you are getting enough fibre in your diet. There are two low carb sources of fibre as well, and it’s good to learn about them. Guess what? The answers are in the book! It’s true that you don’t have to count calories on a low-carb diet. But that doesn’t mean calories don’t count! The great thing about low-carb eating is that our appetites “turn down,” allowing us to eat fewer calories without getting hungry. Some people make the mistake, though; of thinking they can just keep eating and eating and still lose weight as long as the food is low-carb. Let your appetite be your guide – eat when you are hungry, and stop when you are comfortable. A lack of planning; when you are first on a new way of eating, you’ll run into old habits that need to be changed to new healthier ones. No longer can you mindlessly hit the vending machine or drive-thru. This is a good thing: Pausing to re-consider our habits is a constructive step towards making improvements in our lives. But in the case of eating, it’s important to plan ahead for a while, until our new habits come naturally. Nothing will sabotage your goals more quickly than realizing that you’re hungry but you don’t know what to eat. Think of all the money you will save by avoiding the junk food and the drive-thru, make weekly menu’s to help you overcome those old habits! “Low carb” “Packaged Foods” -problem ingredients; be wary of meal replacement bars, ice cream, and other “treats” labelled low-carb or sugar-free. They often contain ingredients such as maltitol (the worst offender) which are just as bad as sugar in a lot of bodies. In general, products that talk about their “net carbs” or “impact carbs” deserve close scrutiny of the ingredients, and careful experimentation. Carb Creep; you’re eating low-carb. You’re feeling great, and the weight dropping off as if by magic. You’re not hungry between meals! You have energy! You can concentrate better! Wheee! You think you’ll have a piece of toast! It doesn’t matter! You still feel great! You think you’ll have some ice cream! Hey! You’re still losing weight! A little sugar in the coffee can’t hurt, can it? Maybe not, but…uh oh. Something has sent you over your own personal carb limit. Suddenly, you’re having cravings, you’re hungrier, you’re gaining weight, and you’re in a vicious circle that’s hard to break of eating carbs, being hungrier, eating more carbs…ugh. Sometimes it happens more subtly, but it’s common to let more and more carbs creep in, sometimes unawares. If that happens, it’s time to take stock and probably start over, at least for a few days, to break that cycle. Once again plan your menus to help avoid this. Bonus No Exercise; There is a temptation to leave exercise out when talking about low-carb diets, because often people can be successful at first while staying sedentary. However, there are several reasons for talking about exercise in any diet discussion (Atkins called it “non-negotiable”). One is that exercise lowers insulin resistance – this is probably partly why exercise alone will tend to help many people lose a few pounds. The second is that exercise is good for our bodies in so many ways. And the third is that while we can lose weight by diet alone, at least to some extent, we are very unlikely to be able to maintain a significant weight loss without exercise. Always consult your doctor before any exercise regime. £7.99 that’s a saving of £7.00 Buy through secure servers. Ditto for carrots, corn, bananas, raisins, pineapple, fruit juice and watermelon. This phase lasts until the weight goal is reached. In Phase 3, adherents are urged to stick mostly with the same foods as in PHASE 2. Agatston notes, however, that lapses are inevitable and dieters may need to “switch back to PHASE 1 for a week or two” when they overindulge and regain weight. WHAT IT PROMISES Eight- to 13- pound loss in the first two weeks; about one to two pounds per week after that. 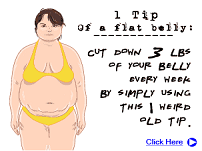 Belly fat is said to vanish first, though Agatston doesn’t explain why. HOW IT STACKS UP Calories aren’t counted, but based on serving sizes and ingredients provided in over 350 sample menus and recipes. Chicken Cutlets with Herbs de Provence & Apple Compote. That’s just a sample of the recipes in Phase 1 of the diet! The list goes on so get your copy today. I hope you enjoy the recipes in the book. Please note because this book is downloaded there is no refund policy as we have no control over the book and you still have access to it. We hope you understand this policy. 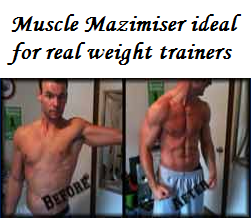 In exactly 7 short days you will prime your body to strip your stubborn fat FASTER and EASIER than you’ve ever imagined.